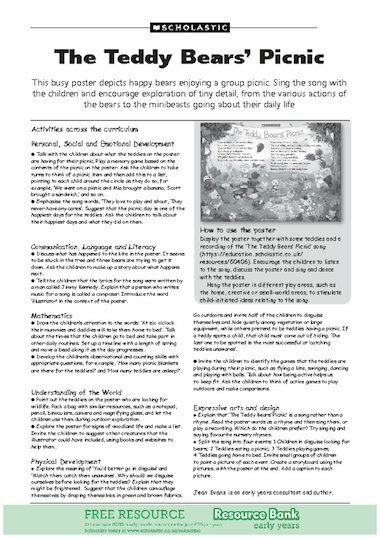 Cross-curricular activity ideas on the theme of ‘The Teddy Bears’ Picnic’. Great ideas. I especially liked the concept of the children going exploring draped in brown or green material to blend in with their surroundings. Thinking out of the box!